An in-depth review of the Spanish seed bank, Ministry of Cannabis: their selection, service, and reputation, as well as free seeds and discounts. The Ministry of Cannabis seed bank is a Spanish seed bank that operates out of sunny Barcelona. The weather in Spain offers optimal climate conditions for growing a variety of high-quality cannabis strains, as well as the beaches and laid-back lifestyle to enjoy the finished products. It’s no wonder that such a prestigious seed bank chose Barcelona as their base of operations! Their dedication to perfecting the genetics of each strain truly shows in the carefully-chosen products they offer for sale. In addition to exciting new strains, they also maintain a lineup of tried-and-true favorites that keep customers coming back again and again. From top-notch seed quality and customer service to involvement in 420-related events around the world, this is one seed bank that demonstrates an absolute commitment to its loyal customers. It’s easy to see why Ministry of Cannabis reviews are full of people who can’t wait to recommend this seed bank to others. Keep reading to learn what sets Ministry of Cannabis apart from all of its competitors! Ministry of Cannabis is widely regarded as one of the top-tier seedbanks of 2019. There are pages upon pages of testimonials on their website (as well as online Ministry of Cannabis reviews) that sing their praises on everything from exceptional yield quantity to super-fast shipping speeds and everything in between! They are a seed breeder, meaning that they grow all of their own strains and sell only those strains in their shop. Having the products under their control from soil to shop means that they can ensure the highest-quality products every time, which is a good thing for buyers! They are also a legitimate, established business that participates in 420-related events all over the world. If you attend one of these events, you can see their faces and interact with the actual people that developed and grow the strains in their shop. That personal touch really adds another layer of confidence when buying from them. Giulio and the Ministry of Cannabis staff. 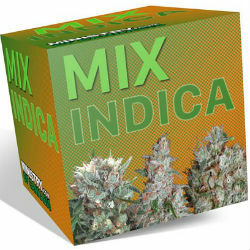 Ministry of Cannabis is a seed breeder, first and foremost. They grow all of their own strains, generation after generation, to get the genetics just right. Because of this long and intensive process, they don’t have a particularly wide variety of strains available in 2019. 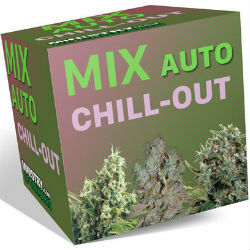 They do have feminized seeds, autoflowering seeds, and mixed seed packages, but they really only have about twenty or so different strain varieties. They may begin to slowly add more in the future, but that will take time. On the other hand, buyers can rest assured that anything for sale in the Ministry of Cannabis shop will be a high-quality product with plenty of testing and retesting to back it up. 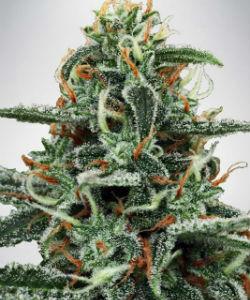 If you find strain you really like from Ministry of Cannabis, you can be sure that you’ll get consistent results buying their seeds – even over a span of many years. 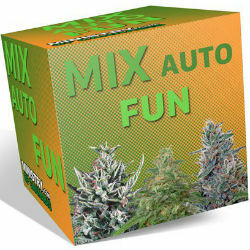 However, it may not be the place to go to browse and try out a bunch of new strains. A good rule of thumb is to find something you like and stick to it, and you’ll enjoy consistent results indefinitely. 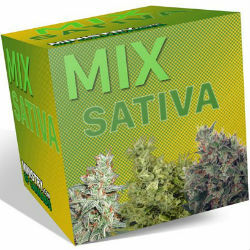 Ministry of Cannabis seeds are something that you can just count on to be stable and have a reliable yield. The growers at Ministry of Cannabis have a near-obsession with perfecting their strains. It’s what has been keeping them going from 2008 all the way up until 2019, and more than likely beyond. They have production and test rooms in 3 different countries (including their home base in Spain) where they grow their wares, enabling them to send the freshest possible products to buyers from all over the world. This probably also accounts for their speedy shipping! 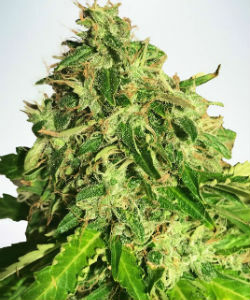 They are able to offer consistent, premium seeds because of their unique and ongoing production process. Their first goal is to keep classic cannabis strains and specimens, like White Widow, available in viable female form in perpetuity. That’s a noble goal. It would be a tragic loss if the strains everyone knows and loves were left by the wayside and disappeared in favor of newer, flashier strains, wouldn’t it? At the same time, Ministry of Cannabis growers are slowly trying to introduce their own new strains, including their unique Carnival and Zensation varieties. These have both been highly praised by reviewers. Overall, the marijuana masters at Ministry of Cannabis are like the historians of cannabis. They are putting their considerable talents to use in making sure that classic strains are preserved and genetic lines stay stable and healthy. They’re doing the world of weed a huge service, and anyone in favor of strong and stable genetic preservation should buy some of their products to support their efforts. If product quality is the Ministry of Cannabis’s top priority, customer satisfaction runs a very close second. Their growers are very dedicated to providing the best quality seed specimens from both classic and new strains to anyone who wants them. They are absolutely focused on providing consistent results, generation after generation, and improving upon them wherever they can without sacrificing any strain’s future viability. Ministry of Cannabis has a germination guarantee and extensive information available on their website regarding how to plant and grow your seeds for the best results. It’s obvious from these things that the people at Ministry of Cannabis really care about helping their customers achieve the best-possible results with their seeds. Their focus is not on creating a massive number of new strains, but rather on constantly improving upon the ones that they already breed. Granted, they do come out with a new strain from time to time, but only when they have a bit of extra time and resources on their hands and can be sure that the attention placed on developing the new strain won’t take needed attention away from developing and improving their core collection. Ministry of Cannabis is one of the few marijuana seed banks from which customers can expect such exponentially improving results. While other seed banks go up and down, having some big successes along with some major letdowns, Ministry of Cannabis is poised for constant improvement as long as they keep their focus on slowly but surely improving each of their strains. They’re definitely playing the long game, and their customers benefit from that patience and dedication. The shopping experience on the Ministry of Cannabis website is very streamlined. There aren’t an overwhelming number of strains to sort through, so customers can very easily find what they’re looking for. Each strain page has a wealth of information about that strain along with user-submitted reviews, so you’ll have a really good idea what you’re buying even if you’re not familiar with that particular strain. If you still have questions, the website provides an email address for 24/7 customer support. 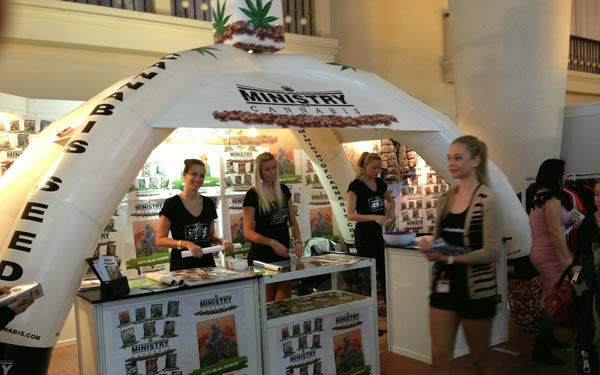 Ministry of Cannabis also takes part in many different cannabis-related festivals and events, both in Spain and across the globe. If you ever want to meet the people behind your favorite strains or just have a chat face-to-face, you can find their booth and potentially buy some of their products in person! 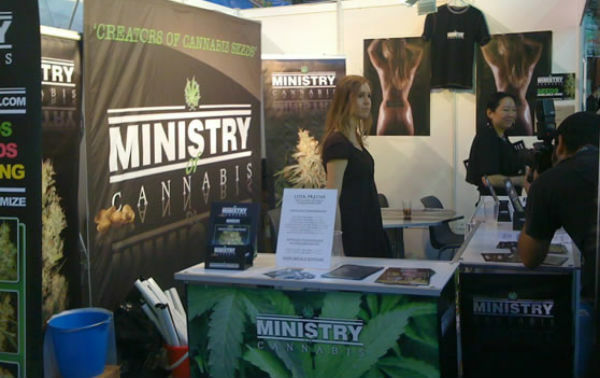 Ministry of Cannabis at Cannafest, Prague 2013. Cannabis growers everywhere are constantly on the lookout for coupon codes, special offers, and discounts on seeds, and Ministry of Cannabis customers are no exception. While there isn’t a special promotions section on the Ministry of Cannabis website, those who follow the seed bank on social media can take part in seed giveaways. It’s a fun way to snag a freebie and try out a trending strain. In addition to their frequent giveaways, Ministry of Cannabis also ships out free seeds with every single order. You’ll receive one free seed for orders under €30, two free seeds for orders from €30 to €120, and five free seeds for all orders over €120. For customers looking for discounts on an ever-changing massive selection of top strains and high-quality seeds, check out the MSNL Special Offers Page and take advantage of their worldwide shipping. Ministry of Cannabis takes customer satisfaction very seriously, and they always strive to provide a personal touch to any transaction. Their customer service team is definitely at the top of the pack. You can reach them at any time, day or night, and they’ll always greet you with a prompt and friendly reply to your issue. Because they have associates based in Spain and at least three other countries, there is always someone available to assist you. They’ll do whatever is within their power to address your problem and make it right. Of course, no one wants to experience a problem with their order, but if you do, or even if you just have questions, you’ll be in good hands with the Ministry of Cannabis customer service team. Ministry of Cannabis at Expocannabis, Madrid 2009. Shipping from Ministry of Cannabis is available to any country worldwide. Shipping costs start at €8 for those within Europe and rises to €10 euros for those outside of it. Orders totaling over €75 will ship free with registered mail service. They use a variety of different postal carriers, some of which provide tracking numbers to keep up with the progress of your order, while others do not. Shipping within Spain is the fastest, but reviewers from all over the world have praised Ministry of Cannabis for their speedy shipping times and clever stealth tactics. All of their orders ship in stealth packaging, regardless of the country it’s going to. You can ask to have the seeds sent in their original packaging, which may or may not be possible depending on where you live. All orders are shipped from one of their three production centers within 24 hours of order receipt, and while they have no control over the packages once they leave their distribution centers, expected delivery times are roughly as follows: Europe/EU – 7-10 days, Europe/non EU – 7-14 days, North America – 15-20 days, Middle East – 15-20 days, everywhere else – up to 4 weeks. As for payment options, Ministry of Cannabis accepts Bitcoin, Mastercard, Visa, bank transfer, moneygram (for orders of 100 euros or more), or cash mailed directly to the address provided at checkout. If you do decide to send cash, make sure you do it by registered mail so that you can track it along the way. This is a bit of a risky method, as packages can always be lost or stolen, but it does provide a high level of anonymity if you’re willing to risk it. All payment methods except cash will be charged in euro. For cash submissions, Ministry of Cannabis will accept euro, US dollars, Canadian dollars, Australian dollars, or British pounds. As of 2019, they do not yet accept PayPal as a form of payment. They also have a restriction on debit and credit card use – they can only accept a maximum payment of €350 when using Mastercard or Visa. This limit is per customer, not per order, so be wary of that. If you’re planning to make multiple purchases over time, you may want to arrange to use a payment method other than Mastercard or Visa. Bitcoin is a highly-recommended way to ensure your maximum protection and anonymity. Overall, Ministry of Cannabis has become widely-recognized as one of the best seed banks to buy from. Customers appreciate their dedication to preserving the quality of classic strains while improving upon them over time, as well as their first-class customer service team. The fact that you can go to almost any cannabis-related event across the world and find them there, face-to-face, brings an extra layer of legitimacy to their business. Their seed selection may not be the widest, but they do offer several great strains that should tried at least once. They have an excellent reputation which they’ve worked hard to earn over the many years that they’ve been in business, a unique breeding process that gives them spectacular results time after time, and a website and distribution system that makes their seeds easy for customers to access. Their worldwide stealth shipping and variety of payment options are the icing on the cake. Ministry of Cannabis has definitely earned the seal of approval of legions of satisfied customers around the globe.